We use your Personal Information as required to provide the services we offer to you. We may also use your Personal Information to notify you when updates for the Site and the Pacify App are available, market and promote our services, create de-identified information, such as aggregate statistics relating to the use of our services, the Site and the Pacify App, improve the quality of our services and fulfill any other purpose for which you provide us Personal Information. Polls and surveys may be conducted by us or third parties. We may use your responses to polls and surveys to improve your Site and Pacify App experience and measure use of our services. We may use third parties to deliver incentives to you to participate in surveys or polls. If the delivery of incentives requires your contact information, you may be asked to provide Personal Information to the third-party fulfilling the incentive offer, which will be used only for the purpose of delivering incentives and verifying your contact information. It is up to you whether you provide this information, or whether you desire to take advantage of an incentive. Your consent to use any Personal Information for the purposes set forth in the poll or survey will be explicitly requested by the party conducting it. Many browsers and mobile operating systems enable you to indicate your preference regarding online tracking. You can set your browser or mobile operating system to a “do not track” or similar setting and, when your browser or mobile operating system passes your request to us, we will not serve you targeted advertising, although we may continue to collect data about your use of the Site and the Pacify App. For example, Apple’s iOS8 mobile operating system provides iPhone and iPad users with a “Limit Ad Tracking” setting, and if you turn on that setting, we will not use your device identifier to serve you targeted ads. We will not disclose Personal Information without your consent unless we have a good faith belief that disclosure is reasonably necessary to comply with a legal requirement or process (including, but not limited to, civil and criminal subpoenas, court orders or other compulsory disclosures); to investigate, prevent, or take action regarding suspected or actual illegal activities or to assist government enforcement agencies; to investigate and defend ourselves against any third-party claims or allegations; to protect the security or integrity of the services we provide; to respond to claims of a violation of the rights of third parties; or to protect our rights, property, or safety, or the rights, property or safety of visitors to the Site, the Pacify App or the public. We may share your Personal Information and any other information we collect with employees, affiliates, vendors, partners and third parties as required to offer our services. This includes, but is not limited to, processing transactions, maintaining your account, reporting to credit bureaus and any other purpose disclosed by us when you provide the Personal Information. We also may share your Personal Information and any other information we collect with third-parties in an aggregate and anonymous format combined with the information we collect from other users. We will respond to your request within at most 30 days from the date of your request. The Site and the Pacify App are not directed at children under 13 and we will not knowingly allow anyone under 13 to provide any personally identifying information. If you are under 13, please do not provide any information about yourself. California Civil Code Section 1798.83, known as the “Shine The Light” law, permits users of the Site and/or the Pacify App who are California residents to request and obtain from us a list of what personal information (if any) we disclosed to third parties for direct marketing purposes in the preceding calendar year and the names and addresses of those third parties. Requests may be made only once a year and are free of charge. Under Section 1798.83, we currently do not share any personal information with third parties for their direct marketing purposes. We take privacy and security seriously. We have implemented security safeguards designed to protect the Personal Information that you provide in accordance with industry standards. Access to your data on the Site and the Pacify App is password-protected, and, if we collect sensitive data (such as credit card information), we will protect it by SSL encryption when it is exchanged between your web browser and the Site or the Pacify App. However, since the Internet is not a 100% secure environment, we cannot ensure or warrant the security of any information that you transmit to the Site or the Pacify App. There is no guarantee that information may not be accessed, disclosed, altered, or destroyed by breach of any of our physical, technical, or managerial safeguards. It is your responsibility to protect the security of your login information. Please note that emails, instant messaging, and similar means of communication are not encrypted, and we strongly advise you not to communicate any confidential information through these means. Please help keep your account safe by using a strong password. Pacify requests financial information from you. At registration you must provide credit card information to complete your registration for our services. This information is used for billing purposes. We do not store your payment information within our platform. All credit card information resides with our payments processor, Stripe, Inc. Please be sure to keep your payment information up-to-date to guarantee continuity of service. This End User License Agreement (the “EULA”) is a binding legal agreement between you, as an individual or entity, and Pacify Health, LLC (“Pacify”). By downloading, installing, or using this application for Android, iOS or any other mobile platform, as applicable (the “Application”), you agree to be bound by the terms of this EULA. If you do not agree to the EULA, do not download, install or use the Application. You agree that download, installation or use of the Application signifies that you have read, understood, and agree to be bound by the EULA. The Application is provided to you under this EULA solely for your private, non-commercial use. Make one copy of the Application in any machine readable form solely for back-up purposes, provided you reproduce the Application in its original form and with all proprietary notices on the back-up copy. For clarity, the foregoing is not intended to prohibit you from installing and backing-up the Application for another Device on which you also agreed to the EULA. Each instance of this EULA that you agree to grants you the aforementioned rights in connection with the installation, use and back-up of one copy of the Application on one Device. Title, ownership and all rights (including without limitation intellectual property rights) in and to the Application shall remain with Pacify. Except for those rights expressly granted in this EULA, no other rights are granted, whether express or implied. You understand and agree that you shall only use the Application in a manner that complies with any and all applicable laws in the jurisdictions in which you use the Application. Your use shall be in accordance with applicable restrictions concerning privacy and intellectual property rights. Remove or alter any proprietary notices or marks on the Application. PACIFY DOES NOT WARRANT THAT THE FUNCTIONS CONTAINED IN THE APPLICATION WILL MEET ANY REQUIREMENTS OR NEEDS YOU MAY HAVE, OR THAT THE APPLICATION WILL OPERATE ERROR FREE, OR IN AN UNINTERRUPTED MANNER, OR THAT ANY DEFECTS OR ERRORS WILL BE CORRECTED, OR THAT THE APPLICATION IS FULLY COMPATIBLE WITH ANY PARTICULAR PLATFORM. THE APPLICATION IS OFFERED ON AN “AS-IS” BASIS AND NO WARRANTY, EITHER EXPRESS OR IMPLIED, IS GIVEN. PACIFY EXPRESSLY DISCLAIMS ALL WARRANTIES OF ANY KIND, WHETHER EXPRESS OR IMPLIED, INCLUDING, BUT NOT LIMITED TO THE IMPLIED WARRANTIES OF MERCHANTABILITY, FITNESS FOR A PARTICULAR PURPOSE AND NON-INFRINGEMENT. SOME JURISDICTIONS DO NOT ALLOW THE WAIVER OR EXCLUSION OF IMPLIED WARRANTIES SO THEY MAY NOT APPLY TO YOU. Pacify may modify the EULA with notice to you either in email or by publishing notice on the Pacify website, including but not limited to charging fees for the Application. In the event Pacify modifies the EULA, you may terminate this EULA and cease use of the Application. Pacify may terminate your use of the Application, the EULA or the Pacify services at any time, with or without notice. You shall promptly download and install all Updates and acknowledge and agree that the Application or portions thereof may not properly operate should you fail to do so. You further agree that all Updates will be deemed part of the Application and be subject to all terms and conditions of this EULA. The Application is commercial computer software, as such term is defined in 48 C.F.R. §2.101. Accordingly, if you are an agency of the US Government or any contractor therefor, you receive only those rights with respect to the Application as are granted to all other end users under license, in accordance with (a) 48 C.F.R. §227.7201 through 48 C.F.R. §227.7204, with respect to the Department of Defense and their contractors, or (b) 48 C.F.R. §12.212, with respect to all other US Government licensees and their contractors. By accepting the EULA, you agree to indemnify and otherwise hold harmless Pacify, its officers, employers, agents, subsidiaries, affiliates and other partners from any direct, indirect, incidental, special, consequential or exemplary damages arising out of, relating to, or resulting from your use of the Application or any other matter relating to the Application. YOU EXPRESSLY UNDERSTAND AND AGREE THAT PACIFY SHALL NOT BE LIABLE FOR ANY INDIRECT, INCIDENTAL, SPECIAL, CONSEQUENTIAL OR EXEMPLARY DAMAGES, INCLUDING BUT NOT LIMITED TO, DAMAGES FOR LOSS OF PROFITS, GOODWILL, USE, DATA OR OTHER INTANGIBLE LOSSES (EVEN IF PACIFY HAS BEEN ADVISED OF THE POSSIBILITY OF SUCH DAMAGES). IN NO EVENT WILL PACIFY’S AGGREGATE LIABILITY TO YOU EXCEED THE AMOUNT OF LICENSING FEES PAID BY YOU TO PACIFY. THESE LIMITATIONS AND EXCLUSIONS WILL APPLY NOTWITHSTANDING ANY FAILURE OF ESSENTIAL PURPOSE OF ANY LIMITED REMEDY. SOME JURISDICTIONS DO NOT ALLOW THE LIMITATIONS OF DAMAGES AND/OR EXCLUSIONS OF LIABILITY FOR INCIDENTAL OR CONSEQUENTIAL DAMAGES. ACCORDINGLY, SOME OF THE ABOVE LIMITATIONS MAY NOT APPLY TO YOU. This EULA is expressly made subject to any laws, regulations, orders or other restrictions on the export from the United States of America of the Application or information about such Application which may be imposed from time to time by the government of the United States of America. You shall not export the Application or information about the Application without consent of Pacify and compliance with such laws, regulations, orders or other restrictions. The EULA between you and Pacify will be governed by and construed in accordance with the laws of the State of Tennessee without regard to conflict of laws principles. The exclusive forum for any disputes arising out of or relating to this EULA shall be an appropriate federal court or state court located in Davidson County, Tennessee. The EULA constitutes the entire agreement between you and Pacify regarding the Application. If any provision of this EULA is held by a court of competent jurisdiction to be contrary to law, such provision will be changed and interpreted so as to best accomplish the objectives of the original provision to the fullest extent allowed by law and the remaining provisions of this EULA will remain in full force and effect. You may not assign this EULA, and any assignment of this EULA by you will be null and void. 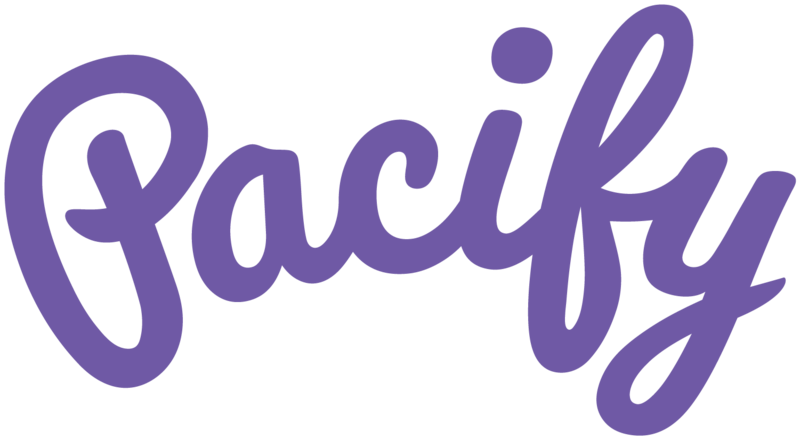 You agree not to display or use any of Pacify’s trademarks in any manner without Pacify’s prior, written permission. The section titles and numbering of this EULA are displayed for convenience and have no legal effect. We are required by law to maintain the privacy of your protected health information (“health information”) and to provide you with this Notice of Privacy Practices, which describes our legal duties and privacy practices with respect to your health information. Your health information includes all of the records of your care generated by or at our facility and/or our affiliate facilities, whether made by our employees or made by other healthcare providers at our facilities. When we use or disclose your health information, we abide by the terms of this Notice (or other Notice in effect at the time of the use or disclosure). We may use and disclose your health information for purposes of obtaining payment for healthcare services. We may use and disclose your health information for purposes of determining insurance or health plan coverage, billing, claims management, medical data processing, and reimbursement. This health information may be disclosed to an insurance company, third party payor, or other entity or person (or their authorized representative) who may be involved in or responsible for payment of your medical bill and may include copies of or excerpts from your medical records that are necessary to obtain payment on your account. For example, we may send a bill to a third party payor that identifies you, your diagnosis, the treatment provided, the supplies used, and any other information required or desirable to obtain payment. We may use or disclose your health information to support the business activities of our facilities and for our facilities’ operations. These activities include, but are not limited to, uses and disclosures of your health information for quality assessment and improvement activities, licensing and accreditation purposes, employee review activities, training of medical and other students, and/or conducting or arranging for other activities. For example, we may use your health information to review our treatment and services provided to you and to evaluate the performance of our personnel or other personnel providing services at our facilities in your treatment. Unless you notify us in writing that you object, we may use and disclose certain health information (for example, your name, location in our facility, and general condition) to people who ask for you by name. We may also provide this information and your religious affiliation to clergy, regardless of whether they ask for you by name. We may disclose your health information to family members or friends who are involved in your medical care or in paying for your medical care, if we obtain your agreement or provide you with an opportunity to object and either you do not object or we reasonably infer that you do not object. If you are not present, or the opportunity to agree or object cannot be provided because of your incapacity or an emergency circumstance, we may exercise our professional judgment to determine whether a disclosure is in your best interest. We may also disclose your health information to friends or family members to inform them of matters such as your condition and that you are present and/or receiving treatment at our facilities. We may disclose your health information to entities involved in disaster relief for appropriate purposes. If you are present, we will generally obtain your agreement or provide you with an opportunity to object before disclosing your health information for appropriate disaster relief purposes. In certain circumstances, we may exercise our professional judgment to determine whether a disclosure for disaster relief purposes is appropriate. We will disclose your health information when we are required to do so by law. If we reasonably believe you are a victim of abuse, neglect, or domestic violence, we may disclose your health information to appropriate governmental authorities authorized by law to receive reports of such abuse, neglect, or domestic violence. We may use or disclose health information when it appears necessary to prevent a serious threat to your health or safety or the health or safety of the public or another person. Disclosures will be made only to persons who may be able to help prevent the threat. We may use or disclose your health information to public health activities or legal authorities charged with preventing or controlling disease, disability, or injury. For example, we will report the existence of a communicable disease, such as AIDS, to the department of health for Tennessee to protect the health and safety of the public. We may also disclose your health information for other public health activities, such as reporting births and deaths, child abuse or neglect, reactions or incidences with drugs or medical products, and other abuse, neglect or domestic violence if required or authorized by law. To the extent allowed by law, we may disclose your health information to organ procurement organizations and other entities engaged in the procurement, banking, or transplantation of organs and/or tissue. We may disclose your health information to a coroner, medical examiner, or funeral director for identification purposes, determining cause of death or for the coroner, medical examiner, or funeral director to perform duties authorized by law. We may disclose health information in reasonable anticipation of death. We may disclose your health information for workers’ compensation or similar programs that provide benefits for work-related injuries and illnesses. We may use and disclose your health information for law enforcement purposes as required by law or in response to a valid subpoena, discovery process, or court order. Disclosures for law enforcement purposes may include, by way of example only, disclosures to law enforcement officials to identify or locate a suspect, fugitive, witness, or missing person, disclosures about the victim of a suspected crime if, under certain circumstances, we are unable to get the person’s agreement, disclosures about a death if we believe the death may be the result of criminal conduct, disclosures about criminal conduct at our facilities, and other such circumstances. We may disclose your health information as required by military command authorities if you are a member of the armed forces. If you are an inmate of a correctional institution or under the custody of a law enforcement officer, we may release your health information to the correctional institution or law enforcement official. We may release health information about you to authorized federal officials for intelligence, counterintelligence, and other national security activities authorized by law. We may also disclose your health information to authorized federal officials so that they may provide protection to the President, other authorized persons, or foreign heads of state, or to conduct special investigations. We may disclose your health information to a person or entity required by the Food and Drug Administration to report adverse events, product problems, to assist with product recalls, or for other related, authorized purposes. We may disclose your health information to a person who may have been exposed to a communicable disease or may otherwise be at risk of spreading the disease or condition. We may, from time to time, use your health information, or disclose to a Business Associate, certain health information for purposes communicating with you to raise funds for our benefit, but you have the right to opt out of receiving such communications. Except as described above, uses and disclosures of your health information will generally occur only with your written authorization. For example, we will not use your health information to send you any marketing materials. We may, however, provide you with marketing materials in a face-to-face encounter and we are permitted to give you promotional gifts of nominal value. We also may tell you about products or services relating to your treatment, case management or care coordination, or alternative treatments, therapies, providers, or care settings. Right to Request Inspection and Copying of Your Health Information.You have the right to inspect and copy your health information that is contained in a designated record set for as long as we maintain such health information. A “designated record set” normally includes medical and billing records, but does not include psychotherapy notes. Your request must be in writing on our prescribed form and delivered in person or by mail to our Privacy Officer. We may charge you a fee for the costs of copying, mailing, and other supplies associated with your request. In certain circumstances, we may deny your request, in which case you may be able to have the denial reviewed by our facility. Right to Request Amendment of Your Health Information.You may request an amendment to your health information that we maintain if you believe such information is incorrect as long as we maintain this information. Your request must be in writing on our prescribed form and delivered in person or by mail to our Privacy Officer. We may deny your request for an amendment if we believe the information that would be amended is complete and accurate and under other special circumstances. If we deny your request for amendment, you may have the decision to deny reviewed by our facility. Right to Request an Accounting of Disclosures.You have the right to request an accounting of certain disclosures of your health information made by us prior to the date of your request. The right applies only to certain disclosures defined in the law made within six years of your request. You must submit your request in writing and deliver it in person or by mail to the Privacy Officer. We will provide you, without charge, one accounting of disclosures per 12-month period. Each subsequent request within 12 months of the first request may involve paying for certain costs of providing the accounting. Your right to request an accounting of disclosures is subject to certain exceptions, restrictions, and limitations. Right to Notification Following a Breach.You have the right to be notified if your health information is compromised in a breach of unsecured protected health information. Right to Request Restrictions.You may request restrictions or limitations on the health information that we use or disclose about you for the purposes of treatment, payment, or healthcare operations, and you may also request a restriction or limitation on the health information that we disclose about you to individuals who may be involved in your care or payment for your care. However, except as described below, we are not required to agree to your requests. If we do agree, we will comply with your request except in emergency situations and in certain other situations, such as where your healthcare provider believes that it would be in your best interests to use or disclose such information. Except as required by law and excluding disclosures for treatment purposes, we are required to agree to your request not to share health information with your health plan that relates solely to services or a healthcare item for which you or someone on your behalf have paid in full out-of-pocket. Any request for any restrictions or limitations on uses or disclosures of your health information must be submitted in writing on our prescribed form and delivered in person or by mail to the Privacy Officer. Your request must contain: (1) what information you want to limit; (2) whether you want to restrict or limit the use, disclosure, or both; and (3) specifically to whom you want the restrictions and limitations to apply. Right to Request Confidential Communications.You may request that you receive communications from us by alternate means or at alternate locations. For example, you may request that we communicate with you only by mail at your work address. Any request for confidential communications must be submitted in writing on our prescribed form and delivered in person or by mail to the Privacy Officer. Your written request must specify how and where you want to receive communications. We will attempt to accommodate all reasonable requests. We may condition our agreement to accommodate your request by obtaining information from you as to how payment will be handled and obtaining additional or alternate addresses or means of contacting you. If we are unable to contact you using the ways or locations you have requested, we may contact you using any information we have. Right to Receive a Paper Copy of this Notice of Privacy Practices.You have the right to a paper copy of this Notice of Privacy Practices by contacting our Privacy Officer. Right to Revoke Authorization.You have the right to revoke your authorization to use or disclose your health information provided that such request is in writing and delivered in person or by mail to the Privacy Officer and provided that action has not already been taken in reliance on your authorization. You acknowledge and agree that we are unable to take back any uses or disclosures that already occurred with your permission or as otherwise permitted by this Notice or by law and that we are not required to retain our records of care that we provided to you. To exercise these rights, contact our Privacy Officer at the address listed at the end of this Notice. We reserve the right to change this Notice at any time and make the revised Notice effective for health information that we already have about you, as well as to any health information that we receive about you in the future. We will post a copy of the current notice at our facility. Upon your written request, we will provide you with any revised Notice of Privacy Practices. If you believe that your privacy rights have been violated, you may complain to us by submitting a complaint in writing to the Privacy Officer or you may complain to the Secretary of the Department of Health and Human Services. We will not retaliate against you for filing a complaint. If you have questions or would like additional information, you may contact our Privacy Officer at the address below or by phone at (615) 415-6257. Pacify is an e-health platform. Through the Site and the Pacify App we provide the following services (the “Services”): we enable you to obtain online counseling and consultation services from our network of nurses, dietitians and lactation consultants (collectively, “Consultants”); we provide appointment scheduling and reminders; and we provide other types of administrative services and information. Consultants have an active license, certification and/or authorization, as applicable, in the respective state(s) in which they provide services. USE OF THE SERVICES IS NOT FOR EMERGENCIES. IF YOU THINK YOU HAVE A MEDICAL EMERGENCY, OR IF AT ANY TIME YOU ARE CONCERNED ABOUT YOUR HEALTH OR THE HEALTH OF YOUR CHILD, CALL 911 OR GO TO THE NEAREST EMERGENCY ROOM. The Services do not include the provision of medical care or other professional services by Pacify. Pacify facilitates access to online counseling and consultation services provided by Consultants. While the Services may provide access to certain general medical information, and also may provide messaging functionality to contact your Consultant(s), the Services cannot and are not intended to provide medical advice. We advise you to always seek the advice of a physician or other qualified healthcare provider with any questions regarding the health or medical conditions of you and your child. Never disregard, avoid, or delay in obtaining medical advice from your doctor or other qualified healthcare provider because of something you have read on the Site. If you have or suspect that you have a medical problem or condition, please contact a qualified healthcare professional immediately. Likewise, if your child has or you suspect that your child has a medical problem or condition, please contact a qualified healthcare professional immediately. To the extent medical advice is provided to you by a Consultant through the Services, such medical advice is based on the personal health information of you and/or your child as provided by you and the local standards of care for your presenting symptoms, based on your use of the Services. Responses are not provided by Pacify, but are provided by your Consultant. THE CONTENT ON THE SITE AND THE PACIFY APP (OTHER THAN A DIRECT RESPONSE FROM A CONSULTANT) IS NOT AND SHOULD NOT BE CONSIDERED MEDICAL ADVICE OR A SUBSTITUTE FOR INDIVIDUAL MEDICAL ADVICE, DIAGNOSIS, OR TREATMENT. YOU SHOULD ALWAYS TALK TO YOUR MEDICAL PROFESSIONALS FOR DIAGNOSIS AND TREATMENT, INCLUDING INFORMATION REGARDING WHICH TREATMENT MAY BE APPROPRIATE FOR YOU AND/OR YOUR CHILD. NONE OF THE INFORMATION ON THE SITE REPRESENTS OR WARRANTS THAT ANY PARTICULAR TREATMENT IS SAFE, APPROPRIATE, OR EFFECTIVE FOR YOU AND/OR YOUR CHILD. You agree that you are solely responsible for all subscription fees for the Services, pursuant to the schedule of subscriptions and fees set forth on the Site and the Pacify App. You agree to be responsible for any telephone charges and/or Internet service fees you incur in accessing and using the Site, the Pacify App and Services. Pacify reserves the right to modify its pricing and subscription structure at any time. Your medical care is solely the responsibility of you and your Consultant(s). All Consultants available through the Services represent that they have degrees, licenses and/or certifications, as applicable, in the areas of nursing, pediatric nutrition or lactation. We attempt to confirm the credentials of all Consultants and to validate that they are in good standing with their respective licensure board(s). However, we are not responsible for credentialing Consultants, we make no representation regarding the accuracy of Consultants’ credentials, and we expressly disclaim any liability for fraudulent credentials or claims by Consultants. In addition, changes in your Consultant’s professional status could occur between the time we perform an initial credential check and the time you select your Consultant. We recommend that you separately confirm that your Consultant is in good standing with his or her respective licensing board(s). As part of our e-health platform, we may provide profile pages for Consultants to enable them to post relevant information about their education, training, experience, and areas of specialization. Consultants are solely and exclusively responsible for the content of their respective profiles, and we expressly disclaim any and all liability for the content of the Consultant profiles, including, without limitation, the accuracy or reliability of any information contained therein. During enrollment, you may select “No” when asked whether you consent to receive notifications from Pacify. After enrollment, you may contact Pacify directly at [email protected] and state your wish to no longer receive notifications. Pacify is committed to acting on these requests within 48 hours. If you supply any comments, information, or material via the Site or the Pacify App, you represent and warrant to us that you have the legal right to supply such material and that it will not violate any law or the rights of any person or entity. Except for any PHI you submit to us, all information or material you supply to us through the Site or the Pacify App shall be deemed and shall remain our property, and you hereby assign to us all right, title, and interest in and to any such information or material, without any restriction or obligation to you. We are continually evolving and innovating the Services, the Site and the Pacify App. We may change the Services, the Site, the Pacify App, the content we offer, and the products or services you may access at any time. We may discontinue offering the Services, the Site or the Pacify App and we may suspend or terminate your right to use the Services, the Site or the Pacify App at any time, in the event that you breach these Terms, for any reason, or for no reason at all, in our sole discretion, and without prior notice to you. After such termination, we will have no further obligation to you or to provide the Services, except to the extent (i) we have agreed in writing to provide a refund to you, (ii) we are obligated to provide you access to your health records or (iii) Consultants are required to provide you with continuing care under their applicable legal, ethical and professional obligations to you. Upon termination of your right to use the Services, the Site or the Pacify App or our termination of the Services, the Site or the Pacify App, all licenses and other rights granted to you by these Terms will immediately terminate. You may terminate your account at any time and for any reason by sending us written notice requesting termination of your account. Any cancellation request will be handled within 30 days after we have received your request. No suspension, termination, or cancellation will affect your obligations to us under these Terms which by their nature are intended to survive such suspension, termination, or cancellation. The Services, the Site, the Pacify App, and all information and/or content that you see, hear, or otherwise experience on the Site or Pacify App (collectively, “Content”) are protected by U.S. and international copyright, trademark, and other laws. You will not acquire any intellectual property rights in the Services, the Site, the Pacify App or our Content by your use of the Services, the Site or the Pacify App. When you use our Services, the Site or the Pacify App you may access intellectual property rights that we or our licensors own or license. Subject to your compliance with the terms and conditions of these Terms, we grant you a limited, non-exclusive, non-transferable and revocable license, without the right to sublicense, to access and use the Services and to download and print any Content provided by us solely for your personal and non-commercial purposes. You may not use, copy, adapt, modify, prepare derivative works based upon, distribute, license, sell, transfer, publicly display, publicly perform, transmit, stream, broadcast or otherwise exploit the Services or Content, except as expressly permitted in these Terms, without our express prior written consent. No licenses or rights are granted to you by implication or otherwise under any intellectual property rights owned or controlled by us or our licensors, except for the licenses and rights expressly granted in these Terms. Unless otherwise expressly agreed in writing by us, the Services are only permitted to be used within the United States of America. We may make available, on the Site, the Pacify App and as part of the Services, links to third-party websites or resources from third parties on the Site and the Pacify App. We are not responsible or liable for the availability or accuracy of, and we do not endorse, sponsor, or recommend such websites or resources, or the content, products, or services on or available from such websites or resources. When we make available such third-party links or resources on the Site, the Pacify App or through the Services, you must look solely to the third-party with respect to the content, products, or services they provide. We do not endorse and are not responsible for any of the content, products, or services provided by others. YOUR USE OF THE WEBSITES OR RESOURCES OF THIRD PARTIES IS AT YOUR OWN RISK. WE AND OUR AFFILIATES WILL NOT BE LIABLE FOR ANY OF YOUR LOSSES ARISING OUT OF OR RELATING TO THE WEBSITES OR RESOURCES OF THIRD PARTIES. IN ADDITION, WE AND OUR LICENSORS AND AFFILIATES DISCLAIM ANY WARRANTIES REGARDING SECURITY, ACCURACY, RELIABILITY TIMELINESS AND PERFORMANCE OF THE SERVICES OR THAT THE SERVICES WILL BE ERROR FREE OR THAT ANY ERRORS WILL BE CORRECTED. NO ADVICE OR INFORMATION PROVIDED TO YOU BY US WILL CREATE ANY WARRANTY THAT IS NOT EXPRESSLY STATED IN THESE TERMS. your violation of any third-party right, including ,without limitation, any intellectual property right, publicity, confidentiality, property or privacy right. IN NO EVENT WILL WE OR OUR LICENSORS OR AFFILIATES BE LIABLE TO YOU FOR ANY DAMAGES WHATSOEVER, INCLUDING WITHOUT LIMITATION, INDIRECT, INCIDENTAL, SPECIAL, PUNITIVE OR CONSEQUENTIAL DAMAGES, OR LOST PROFITS, ARISING OUT OF OR IN CONNECTION WITH YOUR USE OF THE SERVICES, THE SITE, THE PACIFY APP, THE CONTENT, OR THE MEDICAL ADVICE, DIAGNOSIS, OR TREATMENT ANY CONSULTANT PROVIDES TO YOU, WHETHER THE DAMAGES ARE FORESEEABLE AND WHETHER OR NOT WE HAVE BEEN ADVISED OF THE POSSIBILITY OF SUCH DAMAGES IN ADVANCE. IF YOU ARE DISSATISFIED WITH THE SERVICES, THE SITE, THE PACIFY APP, THE CONTENT, THESE TERMS, OR THE MEDICAL ADVICE, DIAGNOSIS, OR TREATMENT ANY CONSULTANT PROVIDES TO YOU, YOUR SOLE AND EXCLUSIVE REMEDY IS TO DISCONTINUE USING THE SITE AND THE PACIFY APP. NOTHING HEREIN SHALL LIMIT THE POTENTIAL PROFESSIONAL LIABILITY OF THE CONSULTANTS OR OTHER LICENSED HEALTHCARE PROFESSIONALS ARISING FROM OR RELATED TO MEDICAL ADVICE, DIAGNOSIS, OR TREATMENT THEY PROVIDE TO YOU, EXCEPT AS PROVIDED UNDER APPLICABLE STATE LAWS. IN NO EVENT SHALL WE BE LIABLE FOR THE DISCLOSURE OF YOUR CONFIDENTIAL INFORMATION BY A CONSULTANT. WE ARE NOT LIABLE TO ANY PERSON OR USER FOR ANY HARM CAUSED BY THE NEGLIGENCE OR MISCONDUCT OF A CONSULTANT. IN NO EVENT WILL THE CUMULATIVE LIABILITY OF US, OUR LICENSORS AND OUR AFFILIATES TO YOU, WHETHER IN CONTRACT, TORT, OR OTHERWISE, EXCEED (i) THE MONTHLY SUBSCRIPTION RATE PAID UNDER YOUR PLAN, OR (ii) IN THE EVENT NO PURCHASE PRICE WAS PAID OR REQUIRED, THE LIQUIDATED SUM OF $50.00. EXCEPT AS OTHERWISE REQUIRED BY APPLICABLE LAW, ANY CLAIM OR CAUSE OF ACTION ARISING OUT OF OR RELATING TO YOUR USE OF THE SERVICES, THE SITE, THE PACIFY APP OR THE CONTENT OR OUR RELATIONSHIP WITH YOU, REGARDLESS OF THEORY, MUST BE BROUGHT WITHIN ONE (1) YEAR AFTER THE OCCURRENCE OF THE EVENT GIVING RISE TO THE CLAIM OR CAUSE OF ACTION OR BE FOREVER BARRED. The information on the Site and the Pacify App, including, without limitation, information regarding pricing, may contain typographical errors or other errors or inaccuracies, and may not be complete or current. We reserve the right to correct any errors, inaccuracies, or omissions and to change or update information at any time without prior notice to you. We do not, however, guarantee that any such errors, inaccuracies, or omissions will be corrected. We reserve the right to refuse to fill any orders or provide Services that are based on inaccurate or erroneous information on the Site and the Pacify App, including, without limitation, incorrect or out-of-date information regarding pricing, payment terms, or for any other lawful reason. These Terms constitute the entire agreement between you and us relating to our Services, the Site, the Pacify App and the Content, replacing any prior or contemporaneous agreements, whether written or oral, unless you have signed a separate written agreement with us relating to our Services, the Site, the Pacify App or the Content. If there is any conflict between these Terms and a separate signed written agreement between you and us relating to our Services, the Site, the Pacify App or the Content, the signed written agreement will control. Our licensors may be entitled to enforce these Terms as third-party beneficiaries. There are no other third-party beneficiaries to these Terms. The titles of the sections of these Terms are for convenience only and shall have no legal or contractual effect. THESE TERMS AND OUR RELATIONSHIP WITH YOU SHALL BE GOVERNED BY THE LAWS OF THE STATE OF TENNESSEE, EXCLUDING ITS CHOICE OF LAWS RULES. YOU IRREVOCABLY AGREE THAT THE EXCLUSIVE VENUE FOR ANY ACTION OR PROCEEDING ARISING OUT OF OR RELATING TO THESE TERMS OR OUR RELATIONSHIP WITH YOU, REGARDLESS OF THEORY, SHALL BE THE FEDERAL AND STATE COURTS LOCATED IN DAVIDSON COUNTY, TENNESSEE. YOU IRREVOCABLY CONSENT TO THE PERSONAL JURISDICTION OF THESE COURTS AND WAIVE ANY AND ALL OBJECTIONS TO THE EXERCISE OF JURISDICTION BY THESE COURTS AND TO THIS VENUE. NOTWITHSTANDING THE FOREGOING, HOWEVER, YOU AGREE THAT WE MAY COMMENCE AND MAINTAIN AN ACTION OR PROCEEDING SEEKING INJUNCTIVE OR OTHER EQUITABLE RELIEF IN ANY COURT OF COMPETENT JURISDICTION. These Terms are expressly made subject to any laws, regulations, orders or other restrictions on the export from the United States of America of the Pacify App or information about such Pacify App which may be imposed from time to time by the government of the United States of America. You shall not export the Pacify App or information about the Pacify App without consent of Pacify and compliance with such laws, regulations, orders or other restrictions. You agree that these Terms will not be construed against Pacify by virtue of having drafted them. You hereby waive any and all defenses you may have based on the electronic form of these Terms and the lack of signing by the parties hereto to execute these Terms. We reserve the right to change these Terms at any time. Any changes that we make will become a part of our agreement with you when they are posted to the Site. Your continued use of our Services, the Site or the Pacify App will constitute your agreement to the changes we have made. The last date these Terms were revised is set forth at the end of this document. We encourage you to contact us at [email protected] if you have any questions concerning these Terms. Please note that email communications will not necessarily be secure; accordingly, you should not include credit card information or other sensitive information in your email correspondence with us. If you would like to contact us via physical mail, our mailing address is: 1726 Connecticut Avenue Northwest, #400, Washington, D.C., 20009.